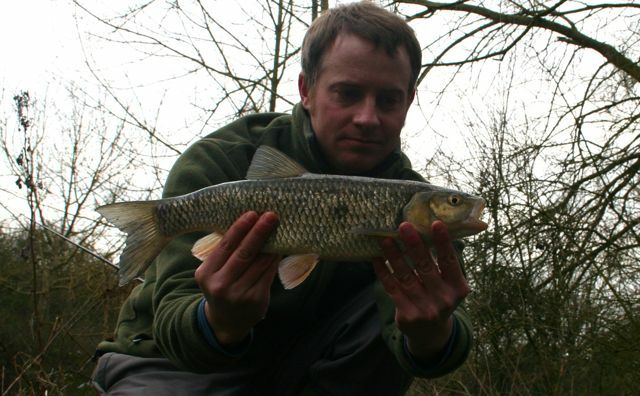 Chub are a good species to direct your efforts to in the winter as they will feed, even in the coldest weather. Although smaller chub will move in to deeper water with other silverfish, the adult fish will often hang around the same area they can be found at during the summer months. Even when the river is up in flood, Chub will often have a bolt hole or slack area they will retreat to. These can be anything from trees, weed beds, ditches, slacks and anywhere just out of the main flow, but with a little cover. The optimum feeding time for Chub is dawn and dusk, but they will feed during the day too. Going light is the the best approach as you can move along the river, dropping your bait in various slack waters, and covering a lot more water. Baits like pellets, meat, bread and worms all work well in the winter, the smellier the better in brown floodwater. 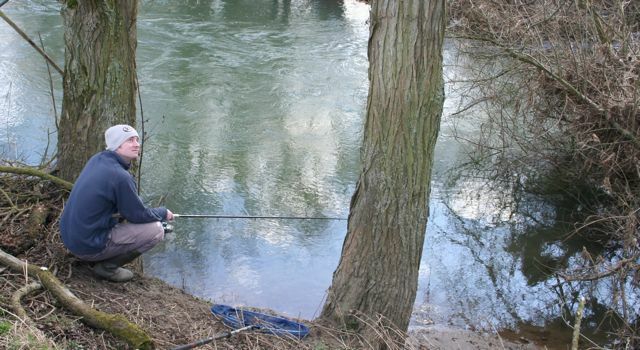 The best time to fish a flood is as the water is dropping and if you can time this just as the colour starts to leave the water, this will give you the very best chances of catching a net full!